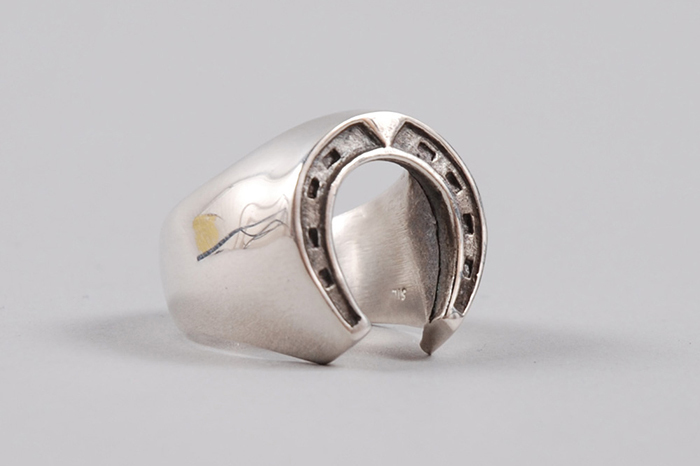 Japanese jewellery craftsman Dog State presents a new addition to his line of men’s rings with this smooth silver horse shoe ring. Dog State is the brand of Japanese jeweller Toshi, located in London and trained at The Great Frog – the proving ground for most great British based jewellery designers. 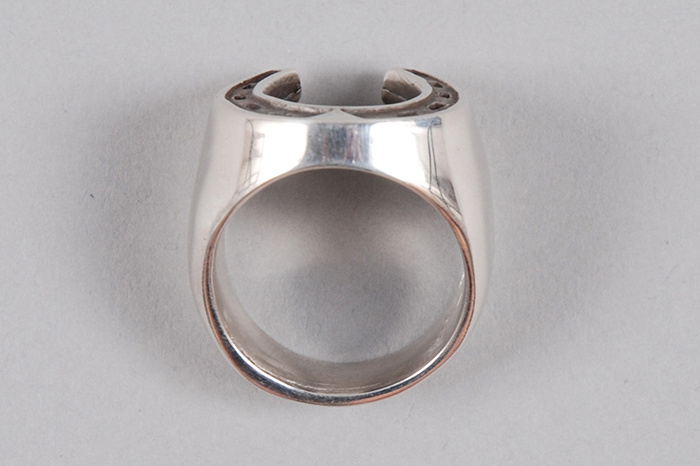 This ring takes a very traditional direction, using one of the oldest lucky charms around, the horse shoe. It seems that the horse shoe ring is a must have in any ring designer’s collection and for good reason – it’s a classic that can easily be reinterpreted to showcase the designer’s own style. 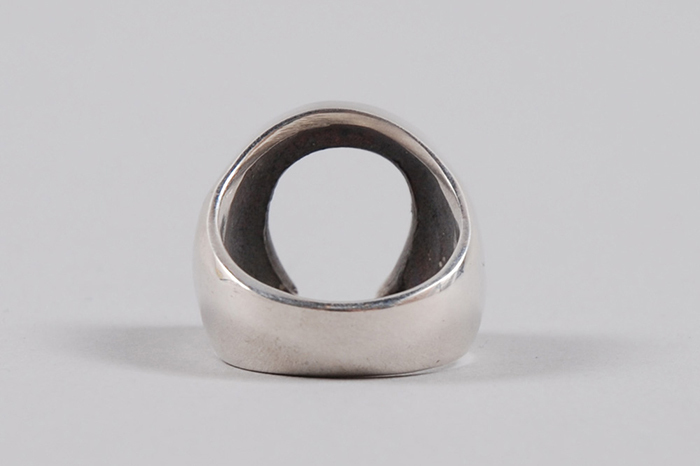 Here Toshi takes the traditional horse shoe ring and gives it a smooth, slender aesthetic, but on a bulky ring. It’s an approach that ends up with a beautiful final product that is both simple and enticing. Made from solid silver and inscribed with the Dog State logo on the inside, this ring is now available from Goodhood for £160 and can be resized on request (which we strongly advise).